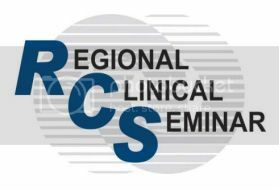 Regional Clinical Seminars are two day, comprehensive seminars on specific topics of interest hosted by volunteer regional coordinators. Seminars are presented by professionals in the field and all presentations have been reviewed and approved by the OEP Curriculum Development Committee. Examples of current topics available include: sports vision, nutrition, autism, prescribing, myopia, strabismus, and MANY more. Typically, these are scheduled as a regional coordinator learns of interest in certain topics. Please browse the attached listing of current seminars you can choose from and contact your regional coordinator if you are interested in bringing a seminar to your region. International associates, please contact us if you'd like to establish an RCS site in your region! Contact the OEP East Office! Call 1.800.447.0370 or email Karen Ruder: Karen.Ruder@verizon.net for more information. Check the OEP online calendar for currently scheduled Regional Clinical Seminars.